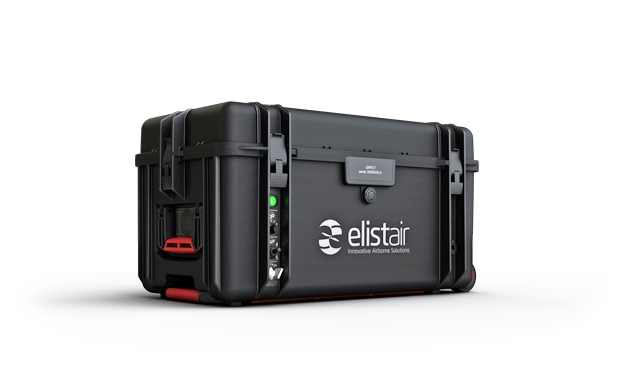 Elistair is one of the most innovative drone companies, and the leading manufacturer of tethering systems for drones. We specialize in the development of persistent aerial solutions based on tethered drones for defense, law enforcement, emergency response and private sectors. Discover our range of tethered drone systems, used by our clients in more than 30 countries. Safe-T is a smart tethered station for commercial drones. Fully automated and thanks to its micro-tether providing unlimited power and high speed data transfer, the solution enables unlimited access to an aerial view, in real time and in a secure manner. Version 2 is now out! Orion UAS is an advanced, tethered drone system providing continuous aerial coverage over large areas for law enforcement, public safety, private security, military uses and crisis monitoring. Being fully automated from take-off to landing, Orion is specifically designed for long-term flights in demanding environments. Ligh-T is a compact and ruggedized tethered drone solution for small UAVs. 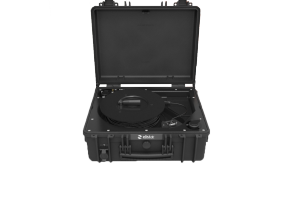 Designed for the field and compatible with widely popular drones as DJI Inspire or Matrice 100, Ligh-T provides access to several hours of continuous flights for emergency event management.